The world will be taken by storm, that is, by a Geostorm! Dean Devlin, who is best known as a co-writer and producer who worked with Roland Emmerich on Independence Day and Godzilla, makes his directorial debut with Geostorm. 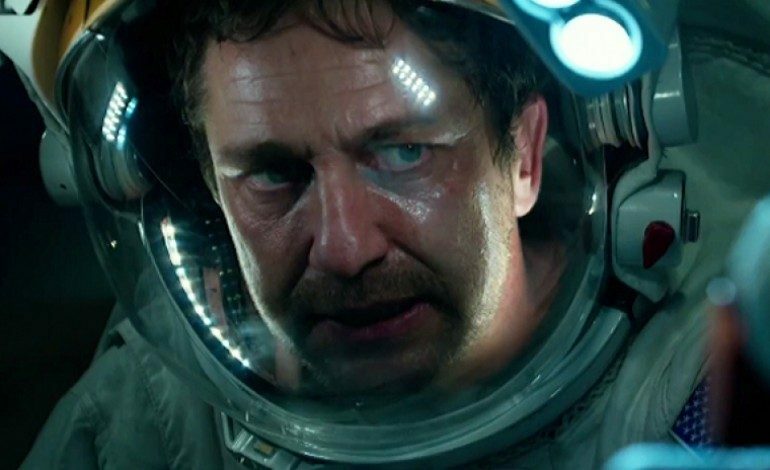 The film stars Gerard Butler as a Jake Lawson, a satellite designer and former commander of the space station, who designs what is named “Dutch-Boy”; a highly advanced system of satellites around the Earth that can alter the weather and stop natural disasters. Dean Devlin directs and co-writes this film along with Paul Guyot (TV’s The Librarians), and while the special effects are decent and the story isn’t half bad, that doesn’t make it the most memorable or exciting movie. It’s been three years after a Senate Committee meeting that determines that “Dutch-Boy” will be in international hands after the satellite itself has proven to be a major success — or has it? Disasters start to occur in Afghanistan and Hong Kong resulting in the death of many. President Andrew Palma (Andy Garcia) orders a meeting to determine the cause of these such events and wants it kept secret. “Dutch-Boy” was designed to stop natural disasters but it seems that some sort of mechanical failure or perhaps sabotage is to blame. The man appointed to figure out what’s going on is Jake himself. His brother Max (Jim Sturgess) took over the “Dutch-Boy” project after the Senate Committee forced Jack out years earlier. Jake travels up to the space station while his brother Max works from Washington trying to figure out what the problem is. I really liked Butler in his performance, instead of going for the action hero type, he’s a guy who’s had a rough couple of years and wants his life’s work protected. While the disaster scenes were somewhat cool to watch, I felt this sense of boredom wash over me. I wanted to see more of the actors and less of the action and when the disasters happened, I didn’t feel as if I was in the moment. Geostorm has a good idea: the power to create storms by using a tool designed to protect us from them. I like that, but Geostorm doesn’t impress on the visual level and sort of drags on. What was interesting is figuring out why this is all happening. The motivation behind the storms could’ve been tweaked up a bit and it would’ve been nice to see more of the supporting cast such as Ed Harris, Andy Garcia and Richard Schiff; even though they do the best they can with what they’ve got to work with, it just doesn’t feel enough. Geostorm had the potential to really deliver some jaw-dropping moments, but nothing here is that memorable. Butler and Sturgess work well together as they were the most interesting characters in the film, but are wasted by not giving them much to work with. I’m intrigued by the idea, but the result is futile at best. It’s too bad Roland Emmerich didn’t assist with this project, with The Day After Tomorrow and 2012, those had some spectacular moments, sadly Geostorm takes a back seat to those.